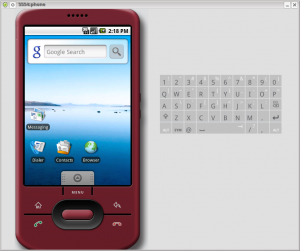 Android is a brilliant smart phone operating system, this is the start of a short series of guides for starting to program applications for it using the android SDK. The SDK is not complete as additional files need to be downloaded in order to compile for different versions of android. 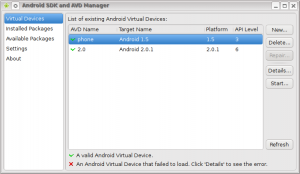 Open the SDK and AVG management application by moving into the SDK folder and running the following. 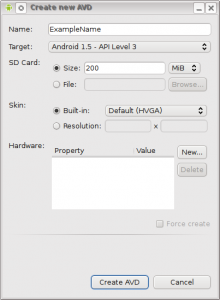 In the avaliable packages select the android versions you wish to develop for, and begin downloading them. Should this fail please read the next section, otherwise skip ahead. If you cannot download from the google website, goto settings and select “force https://… source to be fetched using http://” and click save and apply. 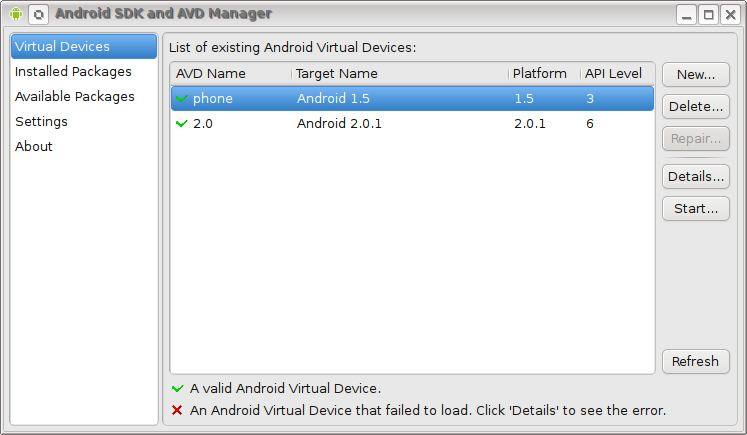 You can create virtual android phones using the SDK and AVD manager, click the Virtual Device tab and select new. Enter a name for the device, and a size for the sd card and simply click create AVD. You can test these virtual devices and see how nicely the phones are emulated. This is much more useful once you begin writing applications. 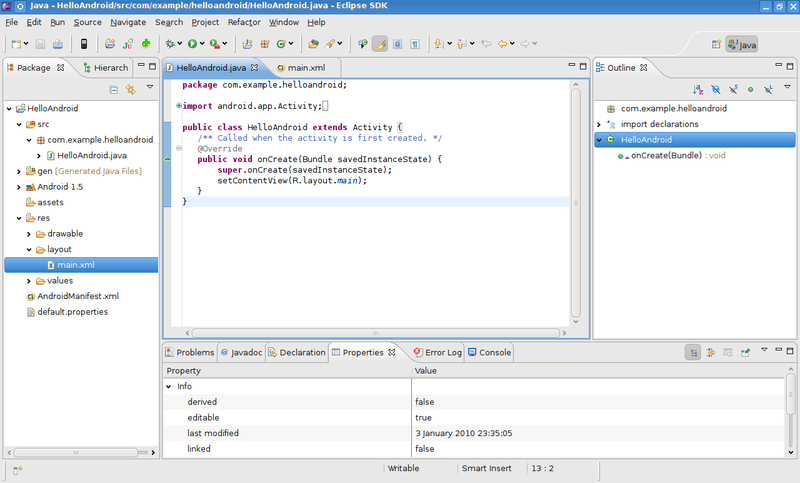 I would highly recommend using eclipse as it, along with the android plugin, greatly simplifies production and testing of applications. 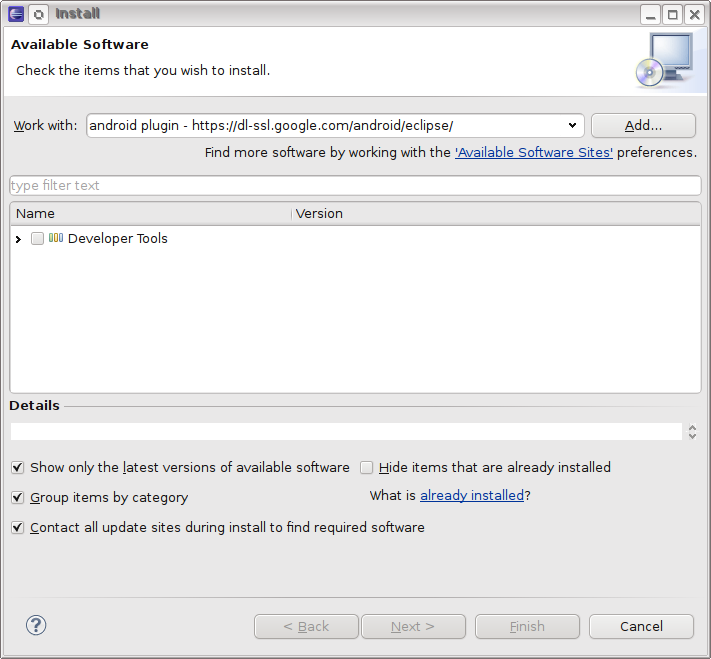 If you do not already have java installed then you will need to install it. You will need to add the following line to your .bashrc in your home folder so that the android tools can be used in eclipse (and other programs). Google’s eclipse plugin install guide. Then install Android DDMS and Android Development Tools. Should you receive errors (like I did) relating to a missing package you will need to add the eclipse repository and install the missing packages. 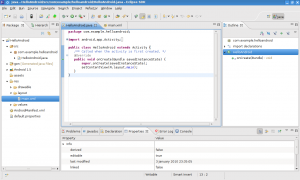 You should then have a fully working eclipse with android plugin.